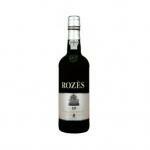 Ostende Rozès, a merchant of elegant wines from the city, founded the company in 1855 in Bordeaux, in order to import and commercialize port wine. But for the company's brand awareness and good image we can mainly blame his son, Edmond Rozès. 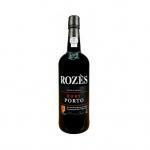 He created the brand "Port Rozès" in the 1930ies, whose trademark was its special bottle. 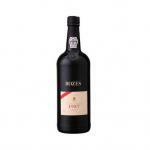 This way clients started to recognize port wine and the brand at the same time: the bottle was dressed in an "ancient Portuguese" Style, the bottle neck was wrapped in war in Paper and wore an impressive wax seal. So the Rozès port wines obtained a characteristic and charismatic identity and quickly conquerred the status of real quality wines. More than 100 years and ober 4 generations the house Rozès stayed in the name giving family's property, until 1977. 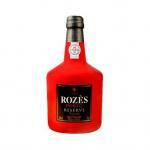 Nowadays the brand Rozès is represented via export in over 40 countries all around the globe, with the main markets in France, Belgium, Germany and Scandinavia. 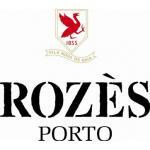 Rozès is the only port wine brand with two completely different aspects: On the one side Rozès stands for tradition with its Rozès Classic Ports but on the other side it also represents innovation with the Rozès Colors-series.